Nestled in the foothills of the Appalachian Mountains, Haven County Georgia is the home of Bellport Poultry, the Walton's Ford Railroad Museum and the annual Apple Blossom Festival. Recently, the Haven County area has been plagued with a series of strange occurrences, and county residents Matt Wilder and Charlie Allen have found themselves with a reputation as the "go to guys" for dealing with such things. Zombies, ghosts, even aliens... No situation is too bizarre to wind up at the door of Wilder Investigations. 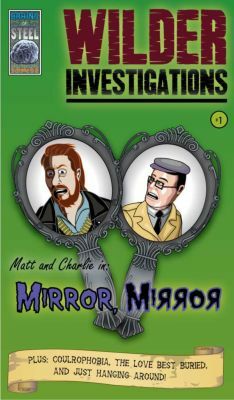 Purchase Wilder Investigations #1: Mirror, Mirror (iBooks) - COMING SOON!